The Archbishop of the Enugu Anglican Communion, Dr. Emmanuel Chukwuma, has said the clergy, especially the bishops, are praying for the release of the leader of the Indigenous People of Biafra (IPOB), Nnamdi Kanu. According to Rev. Chukwuma, the men of God are praying that the issue would not escalate into a crisis. He hoped that God would intervene and believed that dialogue, understanding, and the listening ears of President Muhammadu Buhari would prevail at the long run. 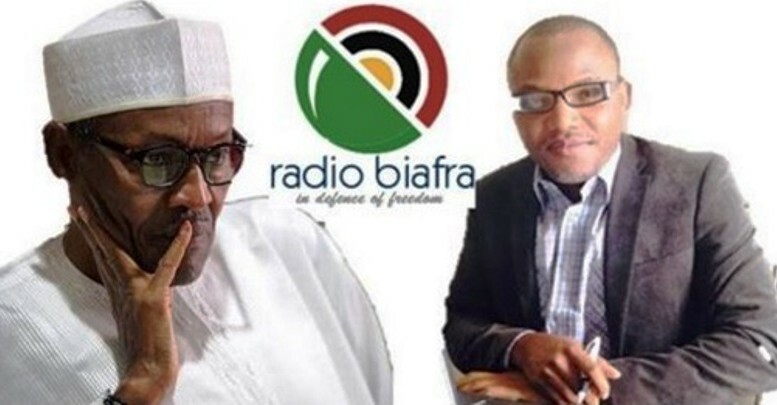 The Archbishop dispelled fears that Kanu’s release would constitute a security risk to the country, and admonished the president not to listen to any contrary advise. He assured President Buhari that the Igbo have no intention of throwing the country into crisis or hardship. He said: “The Igbo do not have any negative feelings towards the President and the Federal Government. We Igbo believe in the ongoing war against corruption, knowing well that the money being recovered will benefit us, especially in roads reconstruction. “Biafra is not our interest now; what the Igbo need is level playing ground where every player will have equal opportunity. I appeal to Mr. President to have compassion on our youths and consider Nnamdi Kanu’s case. “The Igbo are behind Buhari’s government; he should release Kanu to us; we will caution and advise him aright; what we, Ndigbo, need most now is peace. Archbishop Chukwuma further admonished Ndigbo not to blame the president for the bad state of roads in the Southeast, saying they were so before Buhari assumed the presidency. He urged them to give the president the benefit of doubt as he was committed to fixing them.